Brown Paper Tickets’ Doer, Sabrina Roach is shaking things up in mild-mannered Seattle. She’s leading a grassroots group of community activists, tech-workers and artists in a campaign to make Internet a city-owned utility. The goals are clear: improve speeds, lower prices and allow all residents Internet access. But the campaign still needs a name and they need you to help choose it. 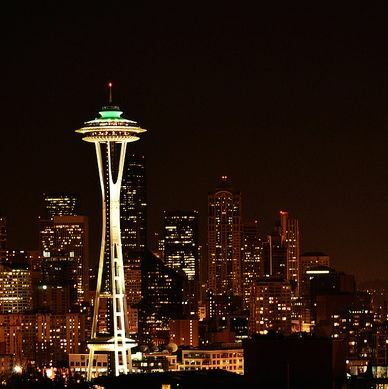 Seattle for Equitable Internet? 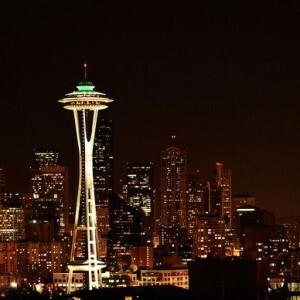 Internet in Seattle’s Hands? Connecting Seattle? Vote for your favorite or stretch your creative muscles and add your own suggestion. The campaign name will be revealed at a launch party for new Puget Sound radio stations on World Radio Day February 13. “Nearly 20% of Seattle residents do not have any Internet access,” according to a report by the city. In our modern, tech-driven metropolis, that’s more than an inconvenience. Students may not be able to do homework assignments. Job seekers may be unable to apply to or find open positions. Small business owners may struggle against online competitors. The same city report shows that 45% of Seattle residents who have Internet in the home want better prices. Thirty-three percent want higher speeds than offered by Seattle’s dominant providers Comcast and CenturyLink. Roach’s yet-to-be-named campaign takes a cue from smaller cities that have implemented fiber-based municipal broadband: Cedar Falls, Iowa and Chattanooga, Tennessee. In a recent video, a preview of his upcoming State of the Union address, President Obama points to these two towns as examples of municipal broadband done right. And fast—at 1,000 mega bits per second, both communities’ services are on par speed-wise with Paris and Tokyo. 550 miles? Who knew? Help name the campaign or get involved with our Doer’s efforts. Tags: muncipal broadband, President Obama, save the internet.